Following the recent development in the polity, the federal government has reassured the manufacturers and other players in the economy of its resolve to maintain the tight monetary policy that would engender rapid growth in all sectors of the economy. The Minister of Finance and the Coordinating Minister for the Economy, Dr. Ngozi Okonjo-Iweala made this known while addressing the members of the Manufacturers Association of Nigeria (MAN) in a one day interactive session with the group in Lagos on Monday. Dr. Okonjo-Iweala who noted that the country was going through some extra ordinary and turbulent time in her history however reassured manufacturers that the government was leaving no stone unturned towards stabilizing the economy. According to her,” we are going through some extra ordinary and turbulent time in the life of the country and I want to reassure you manufacturers that bearing in mind your importance, we are doing everything possible to stabilize the situation”. “I hope you saw the statement I made a little bit of last week; I also hope you saw the statement of the Acting Governor of the Central Bank of Nigeria. We are going to maintain the type of policy, the tight monetary policy to ensure that you don’t have any untoward development”. She further reassured the manufacturers of the stringent measures being put in place by the government to stabilize the exchange rate in the country adding that the government was aware of its importance to them in their planning purposes. The Finance Minister while admitting that the excess crude reserves was down however said that the country still have enough to take of some basic national needs even though the government according to her was looking in the direction of how to improve on it. 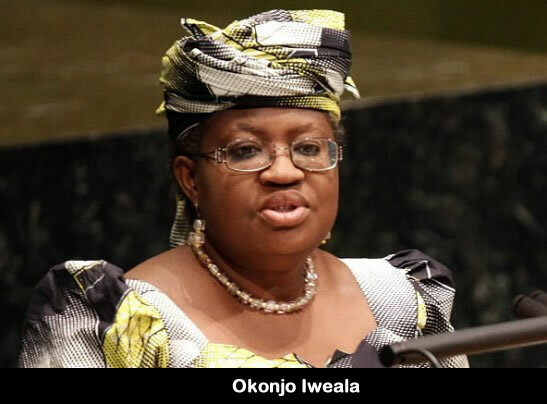 She further hinted that the key performance indicators and the growth indices indicated that Nigeria was making progress in every area of her economic development adding that the Gross Domestic Product (GDP) remained robust even as she said that the government was waiting for the final figure for 2013 to be released by the National Bureau of Statistics. While conveying the importance president Goodluck Jonathan attached to the Manufacturing sector, she did not fail to mention that it was part of his deliberate effort towards repositioning the manufacturing sector that informed his spending virtually the whole day launching the National Industrial Revolution Plan stating the government was mindful that without the progress of the manufacturing sector, there would be no modern Nigeria. Dr. Okonjo-Iweala appreciated the efforts of those of them who she said had come forward to participate in the Graduate Internship Programme of the Federal government and particularly reached out and employs young Nigerians which the government was paying. While encouraging those who are yet to register to participate to do so as the government was the one paying and theirs was to provide the needed capacity for the young graduates informing that government had increased their stipends to #30,000. She further informed that if anyone of them should take a step further to provide employment for any of the Graduate Interns at the end of the day, the government would find ways and other incentives to compensate them. Earlier in his welcome address, the MAN President, Chief Kola Jamodu noted that the intention of MAN for organizing the interactive forum was for them to assess the manufacturing sector vis-à-vis the economy with a view to articulating avenues for improving on them. Jamodu disclosed that as at today, 24 out of 100 Nigerians were out of job adding that top on the list these out of job Nigerians were those between the ages 20 and 27 adding that the government was beginning to identify that empowering the manufacturing sector would not only sustain their capacity and improve on it but also that investing was the only way the country can create job and reduce unemployment. According to him, “recent developments in the regional global table with particular reference to ECOWAS section tariff and Economic Partnership Agreement with the European Union and ECOWAS makes it imperative that we should evolve new survival strategies, if we want to maintain our leadership role as the most industrialized country in West Africa”. “Industries in Ota and Agege, they are more than all the industries in the whole of West Africa minus Nigeria. That shows you the importance of Nigeria, very enviable position we hold”, he said. The MAN boss revealed that the manufacturing sector had started to show some signs of recovery as some key performance indicators have shown that Nigeria was growing. According to him, there was increase micro economic stability, the exchange rate was stable, the inflation rate was on the downward trend, increase investment and production that some people were coming into the country to make inquiries while some have started investing attributing them to people’s friendly policies of the government. While regretting that the interest rate on loans from the financial institutions were not industry friendly, he urged the government to continue with the policy of sector based investment adding that if there was a policy good enough and was the of strategic importance to move the economy forward, it should be given to everybody in that sector rather than picking a company and giving them at the detriment of others.